Come and See the Lambs! Once again we will have gorgeous Easter Lambs this year and hope you can join us to see these adorable animals! This year they will be here on Tuesday 16th and Wednesday 17th April. 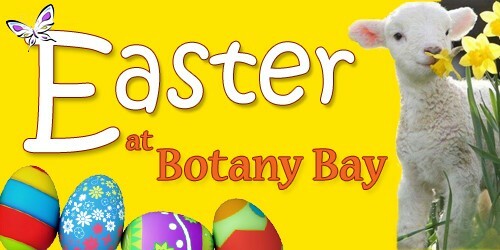 There will also be an Easter Treasure Hunt to take part in with a prize for every child. Entry is only £1.00 per child and there's no need to book. The Bay Cafe will be open of course for delicious meals, snacks and drinks!! We hold regular events and attractions including craft fairs, demonstrations, school holiday activities and educational tours. Check back here regularly for news and details of all our forthcoming events. We always post regular event updates on our Facebook and Instagram pages, so make sure that you like and follow our pages for event notifications.